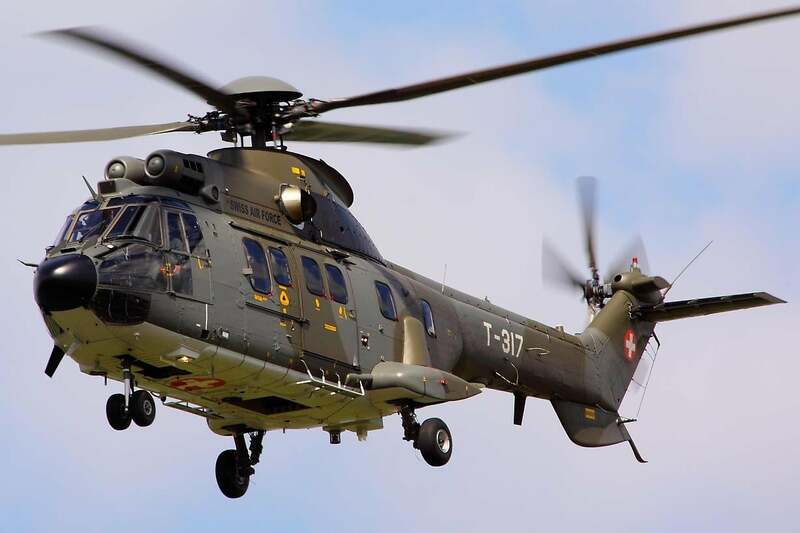 Aerospatiale SNI, a leading helicopter firm France — was formed in 1970 with the merger of several companies. The development of the helicopter AS-332 SUPER PUMA was launched in 1974 on the basis of the AS-330 PUMA. 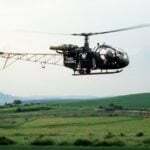 The first flight of the new machine made in September 1978, and its serial production began in February 1980. The helicopter was produced in civil and military versions. Combat AS-332, equipped with missile-gun armament and unguided missiles, could carry out the landing and search-and-rescue operations, and anti-ship modification was able to further carry guided missiles “Exocet”. The fuselage of the helicopter AS-332 all-metal, semi-monocoque, modular design with a double cockpit and cargo cabin volume of 11.4 m3. The transmission shaft of the tail rotor is in the fairing on top of the tail boom. The tail boom is shaped, blending smoothly into the end beam in the form of a keel. Mounted on the beam additional ventral keel and asymmetric stabilizer with a profile of the greater curvature, which provides good directional and longitudinal stability and facilitates the balancing of the helicopter in all flight modes. Pull the tail rotor, five-blade. Helicopter rotor four-bladed, swivel-type with sleeve-type “starfleks” and a fairing, which reduces its drag. Main rotor blade from composite materials. The helicopter is equipped with tricycle retractable landing gear, designed to attack with a vertical speed of 3 m/s. 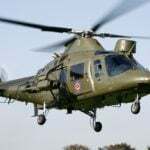 AS-332 SUPER PUMA: the diameter of the rotor 15 600 mm, empty weight 4014 kg maximum weight 7800 kg powerplant — two TVD at 1414 kW, maximum speed 290 km/h, static ceiling of 2300 m dynamic ceiling 4000 m, range 910 km. the Crew of two people.